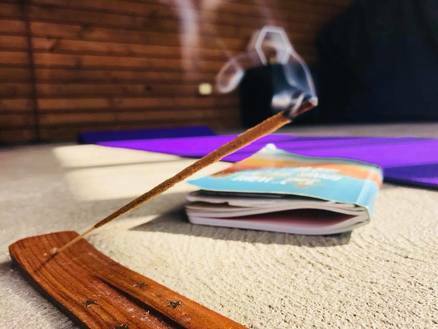 rather than understood by your brain"
My vision for Kahvah is to share my love of yoga, philosophy and self knowledge with others by offering classes, workshops, conversations and connections to all things yoga. For me, yoga became a deeply private and inner journey, a secret meeting place between my body and my mind, beyond any external postures or fancy stretches (I have recently written about this in my article on yoga and flexibility in elephant journal). For the first 17 years of my practice I had no visual evidence of my yoga, it was just my own special little time with myself and I had no idea how I even looked in any of my postures - warrior, headstand, shoulderstand, savasana- but I most certainly knew how they felt. It was only really a couple of years ago that I took my first yoga 'selfies', and even then it was only initially for my teacher training application. A couple of years ago now I reached a point in my life where there was just no space for my yoga practice, no matter how hard I tried. On the occasions where I could practice at home or get along to a class I would relish in the feeling of my old self, and remind myself of the vital importance of yoga to my life (and sanity!). I was now a mum to two young girls, I was working full time and I had zero space to myself. I spent my time grappling with the pressure of trying to work like my younger (and sprightlier) self whilst seemingly flailing at my newest responsibility of full time motherhood - day and night! Most days I was a walking zombie pushing myself to my limit on a treadmill that kept increasing in speed. I was diagnosed with thyroid disease and TMJ, I was malnourished and I relied heavily on coffee and wine to get me through my days. My then 18 month old was struck with pneumonia at the same time as my 3 year old contracted Scarlett fever, and after 4 days of panic and worry in hospital I decided that enough was enough - my health, my kids and my yoga needed to take centre stage from heronin. ​I signed up for my teacher training with Yoga Synergy, stopped working in my previous field and haven't looked back. 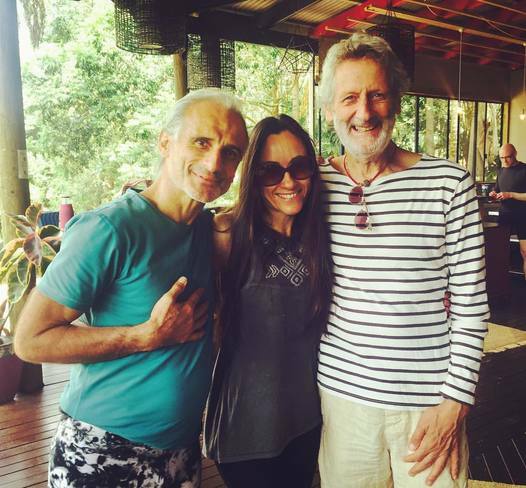 I have to date completed my 200hr training with Yoga Synergy and continue to undertake training and workshops with my incredible teacher trainers Simon Borg-Olivier and Bianca Machliss. I have also had the extreme privilege of being exposed to John Weddepohl's incredible teachings on self knowledge and this has transformed my understanding and appreciation of not only my yoga practice, but life itself (indeed the two are really one in the same!). I have dedicated my passion of yoga to my little girls Kahlan & Avah with the creation of 'Kahvah Yoga' (a combination of both of their names) in 2016. My vision for Kahvah is to share my love of yoga, philosophy and self knowledge with others by offering classes, workshops, conversations and connections to all things yoga. sign up to my yoga updates - classes, retreats, workshops and more!